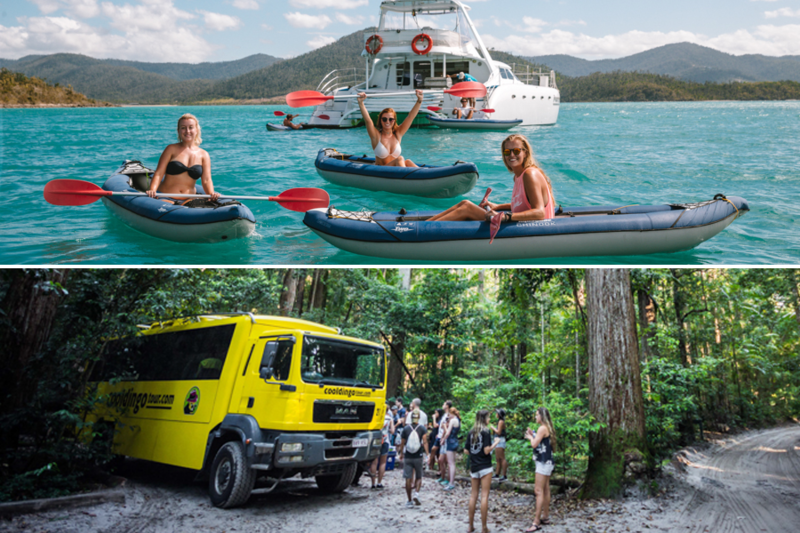 Our Powerplay and Cool Dingo 5 day, 4 night package gives you the opportunity to enjoy a thoroughly relaxingly and yet extremely exciting tour of the Whitsundays and Fraser Island. 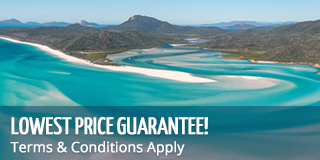 This package will cater to your every need as you sit back and relax, enjoying 2 of Australia's top destinations! Let the crew on board Powerplay take care of everything as you enjoy exploring the Whitsunday Islands. You will have plenty of time to enjoy both relaxing and exploring with your 2 night tour, as your crew takes you from one amazing place to the next! The itinerary allows to quality beach time at Whitehaven Beach and the lookout at Hill Inlet, as well as plenty of time in the water snorkelling in some of the best reefs around. Guests can also enjoy some of Powerplay's many perks while at anchor such as paddleboards, kayaks and an onboard heated spa! This is the holiday you have always dreamed of! Onboard Powerplay you will find yourself immersed in fun, surrounded by stunningly blue oceans, playing on tropical islands and exploring the stunning marine life of the Great Barrier Reef Marine Park. This all-inclusive tour will leave you with memories that will last a lifetime! Cool Dingo's 3 day, 2 night tour will allow you to experience Fraser Island with ease! Your guided tour will allow you to sit back and enjoy the view as your tour guide drives you around the island, visiting all of its top destinations. But don't confuse relaxation with boredom - you will have plenty to do during your 3 day tour. You will get to see some of the most unique and beautiful features of Fraser Island such as Lake Wabby, the Pinnacles and Champagne Pools. Your evenings will be spent at the comfortable wilderness lodge, where you can take refuge among the comforts of home with a Fraser Island flair. This tour will allow you to enjoy the island life with as much relaxation time as possible, as you let your crew take care of everything as you spend your time exploring! See the best of Fraser Island and come to understand why Fraser Island is one of the gems of Australia! Please note guests must make their own way between Fraser Island and the Whitsundays. Please be sure to allow enough time to travel in between.